1998 was a difficult time for alternative rock. After gobbling up the globe with guitars, flag-bearers R.E.M. and Smashing Pumpkins were the future of music. What came next were band fights, inner turmoil and two incredibly divisive records. Sam Lambeth revisits an era in which alt met electro. Billy Corgan has never been afraid to air his grievances. Like a reverse Samson, it seemed the loss of his hair resulted in the growth of his pomposity. By 1998, he was as bald and bloated as ever, and was fielding questions from Howard Stern on Smashing Pumpkins’ most recent record, Adore. “Are you disappointed with the record?” Stern asked, in between no doubt making a few toilet jokes and knob gags. “No, I’m disappointed with our fans,” came Corgan’s riposte. It’s fair to say that the late nineties were a tumultuous time for guitar-based music. After a course of costly albums, extravagant record deals and immersive arena tours, sounds that were meant to be the simplest had suddenly become engorged, intumescent enormities. Once people began to grow tired of Bono’s leather-clad lunacy, Stipe’s anti-commodity carping and Corgan’s cries, there was a need for reinvention. Only the main players involved seemed hesitant, unsure and occasionally unwilling to follow this. The seeds were initially sewn in 1997. U2 were the first to suffer. Pop may now stand as a brave, noble collection of distorted superficiality, but at its initial release was met with lukewarm reception and a feeling the ironic posturing had gone too far. Even the untouchable old guard and pop sensations were flailing – The Rolling Stones made a run for relevance with the sample-tinged Bridges to Babylon and Aussie royalty Kylie Minogue crafted the trip-hop nightmare Impossible Princess. Only Radiohead got out alive with the masterful OK Computer. For Smashing Pumpkins and R.E.M., then, there were problems. Twenty years on, there are numerous parallels between Adore and Up. Both bands had lost their drummers, anchors that not only weighed the band down into reality but also provided the heartbeats of the group. Both were determined to ride through the storm, embracing modern music and weaving it into their imitable brand of rock. And both fell afoul of inter-band squabbling before trying hard to hit the reset button. However, this dog ended up trying to run in three different directions. Stipe and Mills succumbed to stupor, barely showing up in the studio and seeming unfocused and uncluttered when in it. Buck was typically fixated, burning the midnight oil to shape Up with a group of session musicians. Experimentation was the word of the day, but this time experimentation didn’t mean Buck strapped on a mandolin – he was operating his guitar from a board of steaming effects pedals, manipulating his erstwhile jangle into something more linear, mysterious and fragmented. Elsewhere, in the world of the Pumpkins, the Chicago foursome’s moody introspection had seemingly given them an everlasting currency. After the unavoidable Mellon Collie and the Infinite Sadness showcased Corgan’s crazy brilliance, they were tipped for a long stay at the top. Sadly, the wheels began to come off – drummer and all-round powerhouse Jimmy Chamberlain’s drug use saw him ousted, but the group were far from happy. “Adore is the sound of a band falling apart,” Corgan said in 2000. Both bands wrestled with identity, trying to blend acoustic introspection with electro-heavy experimentation (occasionally in one song). Both began to crumble, and things were particularly bleak in the usual united R.E.M. camp. An emergency meeting between the trio and their manager saw them finally bury the hatchet, but they still had a record to finish. The recording process for Up had begun in January and continued right through to the summer. By the time both albums were released, critics were unsure and fans were unconvinced. Raised on a diet of anthemic guitar riffs and apathy, the ‘90s faithful felt short-changed by the direct lyricism and subdued instrumentation of Adore and Up. Both lacked any particular punch – the only song that rocks on Up is the looped, jagged motif of Lotus, while Adore’s almost title track (Ava Adore) makes a nod to the past. How did the bands react? To try and make up for lost ground. Whether they realised or not, the following singles would make conscious efforts to connect the band’s future with something more familiar to fans. 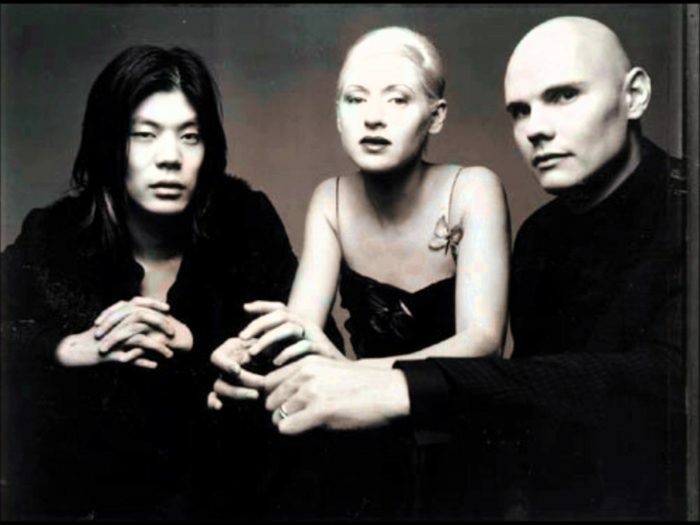 Smashing Pumpkins released Perfect, tethering it to their immortal anthem 1979. Hiring the original actors from the video’s suburban malaise, it served as a sequel both visually and musically. Meanwhile, R.E.M. served up the lilting, classicist At My Most Beautiful, demonstrating the twinkling pianos and wounded burr that made Automatic… so peerless. 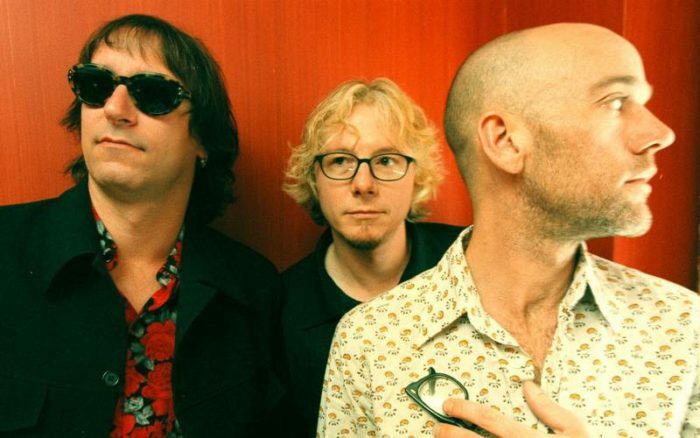 Stranger times would come still at the turn of the Millennium, but better reviews followed for both R.E.M. and Smashing Pumpkins. Twenty years ago, however, served as an odd period in both bands’ lives, where their considerable legacies were at stake and their position as forefathers of alt-rock had significant resonance. Both bands would follow disparate paths, but 1998 was, rightly or wrongly, the start of a new era. There is no such thing as ‘Alt’. No-one abbreviates ‘alternative rock’ to Alt, do they? What a completely pointless article.